I can say that Indonesia is ‘heaven for good food lovers’. You can find any kind of food from traditional snack to international dishes. If the English have their pubs, the French cafes, then in Indonesia, it is the warung that is the social centre of most villages and small towns. It’s a place where women stop for a chat on their way back from the market; where children buy krupuk wafers to munch on the route for school or where some workers stop to have some kopi tubruk before they start the day at work. 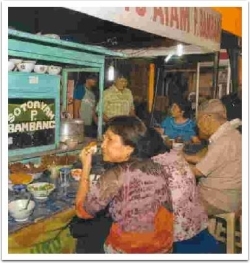 Warung, which is usually locally owned, frequently offers a couple of simple dishes and are excellent places for the visitor to sample the local cuisine and are excellent places for the visitor to sample the local cuisine. 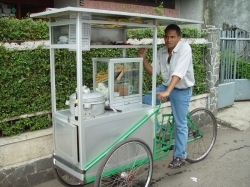 Eating out for many Indonesians is usually a necessity rather than luxury, and basic food stalls selling cooked food at very reasonable prices are found in any larger village as well as in towns and cities. Food stalls cluster along back lanes or spring up around markets. Other food stands are found along the streets at night, with a table, a couple of benches and a plastic roof. Market food stalls often sell a plate of rice with small portions of several dishes like Nasi Campur – rice with various vegetables, meat, poultry or fish dishes. Usually every region has their own specialty. For example you will find Coto Makassar (a rich beef soup) or Grilled fish (Ikan Bakar) along Ujung Padang’s Waterfront in Southern Sulawesi. However, sometimes it is surprisingly difficult for travelers to find genuine local food. 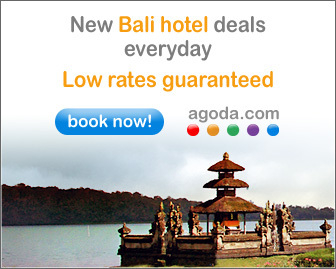 This is because thousands of Javanese leave their homeland every year and settle in other regions. And they are often making a living by selling food. Hence, the Javanese “culinary imperialism” which guarantees you’ll find Soto Ayam, Sate Madura, Bakso and Mie Bakso almost anywhere. 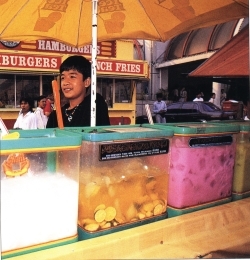 The food stalls are open from early in the morning until late in the evening. 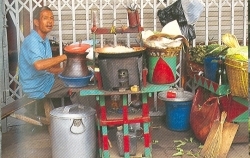 Many families buy Bubur Ayam or Nasi Pecel for their breakfast. And if they need something to eat for dinner and no time to cook, they just buy it outside with a reasonable price, even cheaper than cooking at home. Beside meals, you also find fantastic thirst quenchers almost on every corner in Indonesia. Many of Indonesia’s drinks are colourful, rich of flavours and textures that you are not sure whether you’re supposed to eat or drink them. Ice drinks are made largely from tropical fruits such as Avocado, Banana, Soursop (sirsak) and Papaya. Names like es teler, es kopyor, es campur, and es tape may give little indication of their contents. 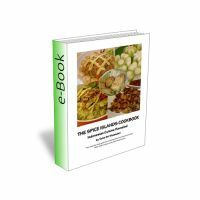 Other drinks might include fermented rice or cassava (tape), slivers of young coconut, chunks or strips of colourful jelly, dried red beans, sweet corn kernels, vivid green “noodles” of transparent mung pea flour and even chunks of bread. These are combined with either rose-flavoured syrup, palm sugar syrup or sweetened condensed milk. In many areas coffee is more popular than tea. 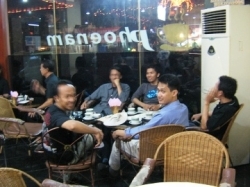 Kopi tubruk is a traditional coffee you’d usually find at a warung. It’s made from grinded coffee and put straight into the serving glass and mixed with boiling water. To drink it without getting a mouthful of grinded beans is to stir it a little so that the grinded beans settle. Nowadays, since there is more influence from western culture and more development all around the country, slowly a lot of cafes, restaurants and food courts grow like mushrooms – especially in big cities. Young people and business men/women like to hang out at the cafes just to relax from busy day at work, enjoy a cup of coffee and have a chat with friends. any foreign chains in coffee business such as Coffee Bean, Starbucks, Excelso, Gloria Jean’s and others are doing well in Indonesia. Different kind of restaurants are offering different meals from local taste to International dishes. Interested to experience Indonesian local food ? Click here for more information of best culinary places around the country! !